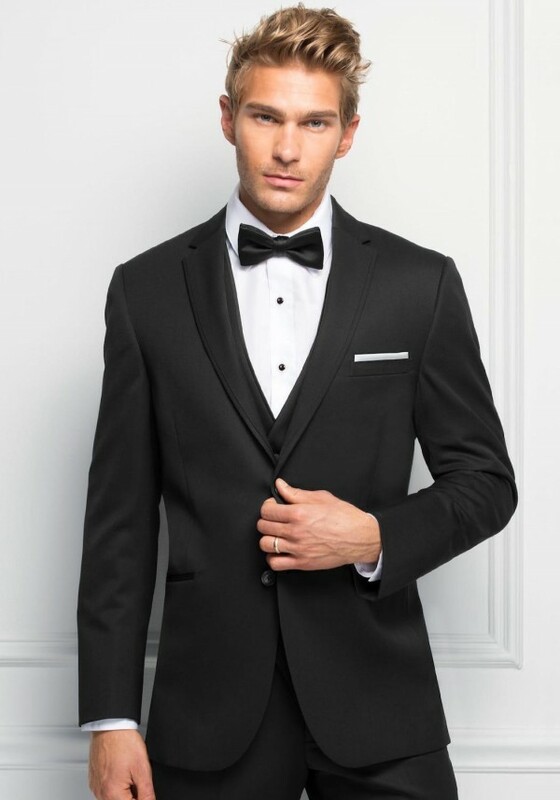 For a classic look with an updated fit, the Black Sterling Wedding Suit is a perfect choice for your next semi-formal affair. The Venetian Super 130's wool fabric and slim fit styling make it the ideal choice. A self-framed notch lapel, elegant purple satin lining and matching modern slim fit pants with an adjustable waist, belt loops and buttons to accommodate suspenders make this suit stand out from the rest. Pair it with a matching wool vest for a 3-piece look.